Celebrate the new year in style with several Chattanooga New Year’s Eve parties and events for families and adults. 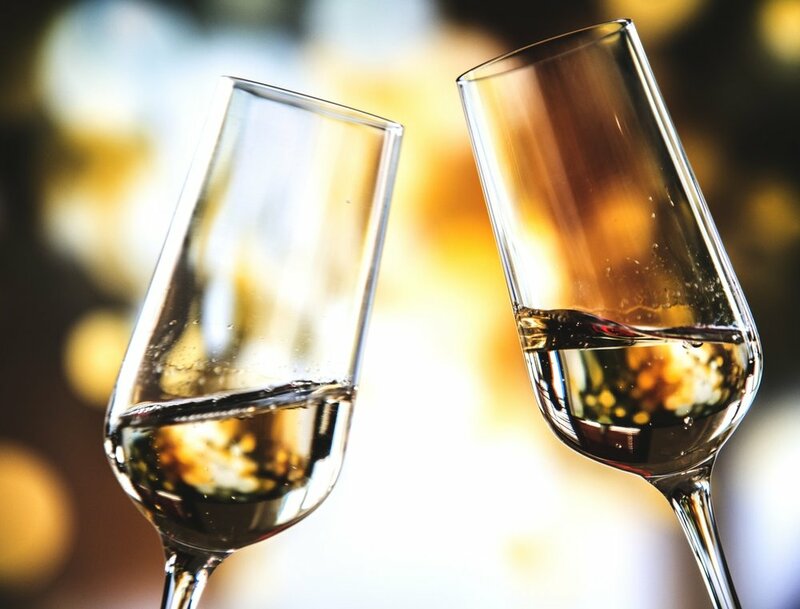 From day time festivities to soirees overlooking the city, Chattanooga will be partying all day December 31st and well into January 1st, 2019! Check out the New Year’s Eve events you won’t want to miss. Skate your way into the new year at Ice on the Landing’s Late Skate New Year’s Eve Party! Located at the historic Chattanooga Choo Choo Gardens, the party starts at 11:00 pm with late night ice skating, and delicious sparkling cider and a snack at midnight. Tickets sell out fast; grab your tickets before they’re gone! Celebrate the beginning of 2019 a little earlier this year with New Year’s at Noon at the Creative Discovery Museum in downtown Chattanooga. Geared specifically towards children, this holiday celebration will include an apple juice toast, crafts, indoor “fireworks”, and a colorful confetti drop! Father Time will host the countdown to noon and lead the new year with a dance party! Call (423) 756-2738 for more information. Live entertainment and a delicious Wisconsin inspired buffet including prime rib is just part of the fun at The Southern Belle Riverboat’s Early Bird New Year’s Eve. All of the excitement will be had before midnight, so you’ll be back home before the new year! This New Year’s Eve party is great for families with little ones looking to enjoy the festivities of the new year. Enjoy the extravaganza as you take in the incredible views of Chattanooga along the Tennessee River. The riverboat will set sail at 4:00 pm. For more details call (423) 763-1571. From laser shows to food trucks lining the street, this family-friendly street festival is the place to be this New Year’s Eve in Chattanooga! The New Year’s Eve in West Village party will kick off with tons of attractions and entertainment. Family-friendly activities like face painting and street entertainers will be on hand from 6:00 pm to 8:00 pm, with a 7:30 pm ball drop just for the younger crowd. A live DJ will be spinning the hits, food trucks will line the street with delicious offerings, and nearby shops will be open late! There will even be a laser show every hour until 10 p.m. A live feed of Times Square will follow the final laser show. The Chattanooga Zoo will say farewell to 2018 with games, meet and greets, and much more during this year’s Zoo Year’s Eve event! This educational experience is great for all ages, with meet and greets with exotic animals and an introduction to the many New Year’s traditions from around the world. Admission is free with a regular zoo ticket purchase. For more information, contact (423) 697-1322. Welcome in 2019 with a trip along the Tennessee River on The Southern Belle Riverboat. A mouthwatering Wisconsin buffet including prime rib will be available at departure. Party favors and a champagne toast at midnight are included and guests will take home complimentary souvenir glasses. The boat will dock at 11:45 pm, so you can watch the ball drop at the 3rd Deck Burger Bar. The fun doesn’t stop till 1:00 am! Boarding is at 8:30 pm and departure is at 9:00 pm. For more details call (423) 763-1571. Named one of the Southeast’s top New Year’s Eve parties, Party on the Bluff at the Hunter Museum of American Art is the destination for an upscale Chattanooga New Year’s Eve shindig. Including a full open bar, hors d’oeuvres, and entertainment by DJ PHLZ, this 21+ party is a can’t miss. Along with all-night excitement, the museum also features picturesque views of Chattanooga. A champagne toast and balloon drop will welcome the new year once midnight strikes! Cocktail attire is required. Contact (423) 267-0968 for more details. Rock in the new year at Songbirds at the Chattanooga Choo Choo with two amazing concerts in one night! At 7:00 pm, enjoy tributes to some of rocks greatest BB King, Eric Clapton, and Chuck Berry, and a special full set of Stevie Ray Vaughn, all performed by Paul Childers. Stick around for “The Ultimate Rock Experience” at 9:00 pm with The Velcro Pygmies! Both concerts will take place on the Songbirds South Stage. Get your tickets here. Find the perfect Chattanooga hotel rooms for New Year’s Eve at the Chattanooga Choo Choo!